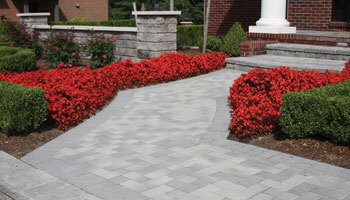 In an ever changing landscape industry, Oaks Concrete Products focuses on producing aesthetically pleasing products. 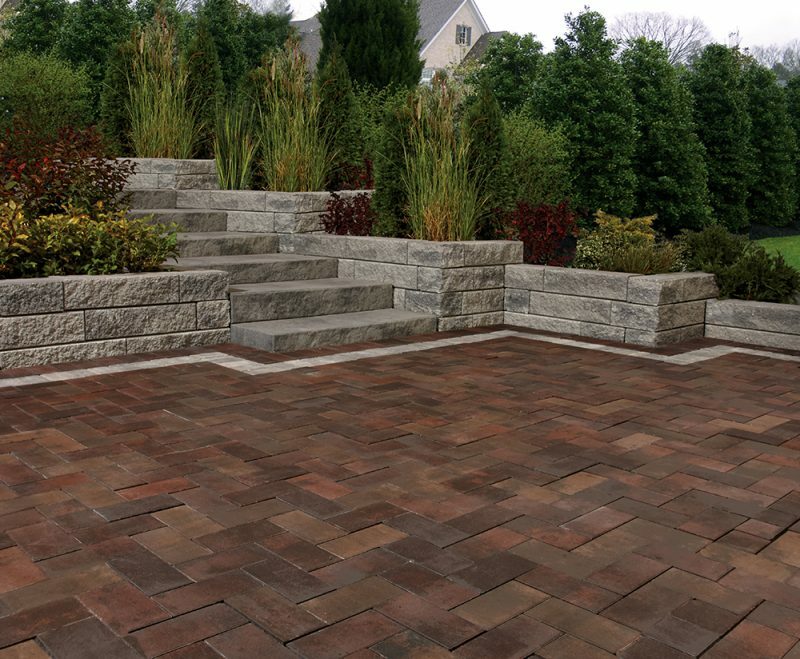 Oaks paver and retaining wall lines offer a range of colors, textures, and shapes that will add a custom touch to any style home. 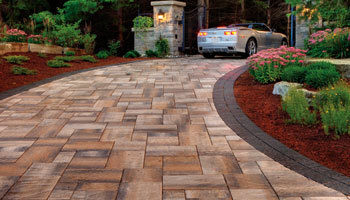 The charming weathered look of Oaks Centurion captures the essence of rugged beauty. It is 2.76” thick ensuring stability, allowing for all kinds of traffic, both vehicular and pedestrian. Ranging in sizes from Small to Double Jumbo, Centurion offers endless options for project design and the peace of mind knowing it will last a lifetime. 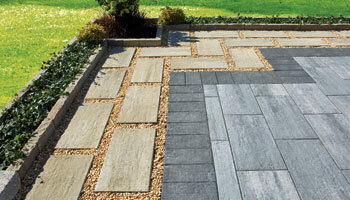 This paver offers immense design flexibility as all stone units are packaged individually. Honoring tradition is what Oaks Classic Series is all about. 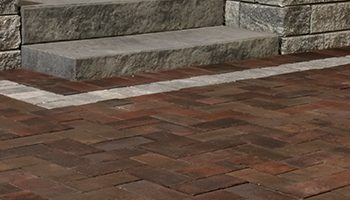 Choose either subdued tones or bolder hues with confidence, knowing with a 60mm (2.36”) thickness these paving stones will support both light vehicle and pedestrian traffic. 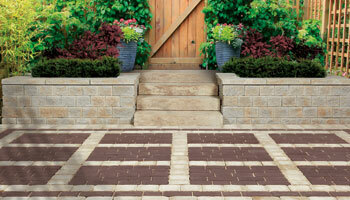 Available in a 4x8 size, Classic Series pavers bring a touch of elegance to any home. The allure of old world classic styling gives Oaks Colonnade a richness that is at home in any setting. 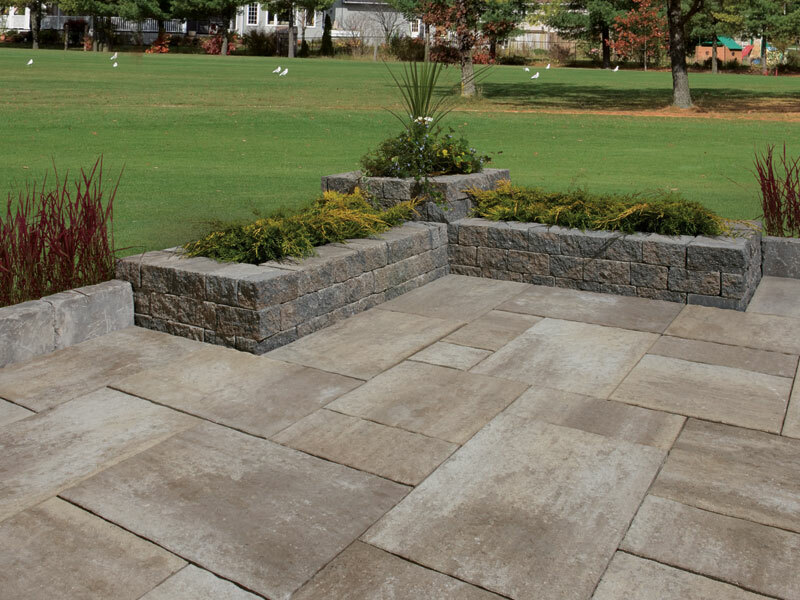 Complementing natural stone accents with the look of handcrafted granite, this product is 2.36” thick making it compatible with light pedestrian and vehicular traffic. 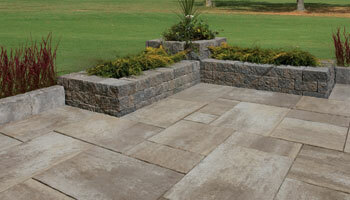 Absolute design flexibility with five separately packaged stone sizes. 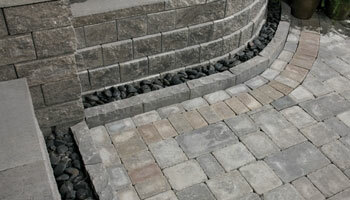 Easily shift from smaller scale three stones to three larger stones for larger scale design options. 9X12 SIZE IS SPECIAL ORDER. SOLD IN FULL PALLETS ONLY. The new Decaston line from oaks enables holistic design concepts for your project. With its large format, smooth surface, clean edges and reduced joint spacing, Decaston is ideal for creating inviting spaces. At 80 mm (3.15") thick, this paver is suitable for light traffic, pedestrian use and meets wheelchair access specifications. Combine with the contemporary colors of Molina for even more design options. *SPECIAL ORDER ITEM. SOLD IN FULL PALLETS ONLY. Oaks Enviro Midori combines a fresh, modern finish with subtly-blended colors and the drainage needed to eliminate surface water runoff, without sacrificing style At 3.15” thick, these pavers are optimized for mechanical installation, complete with interlocking spacer bars for enhanced surface stability. 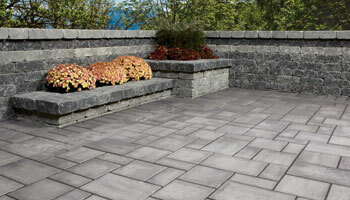 Enviro Midori’s multiple sizes and packaging combinations make it a versatile option for patterning and combining with other 3.15” thick pavers for unique and creative designs. 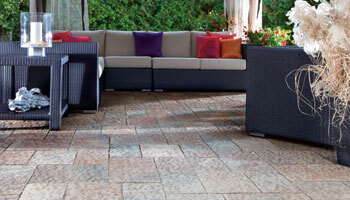 A modern take on European styling, in an alluring 2.76” thick cobble-style paver with the added benefit of permeability! 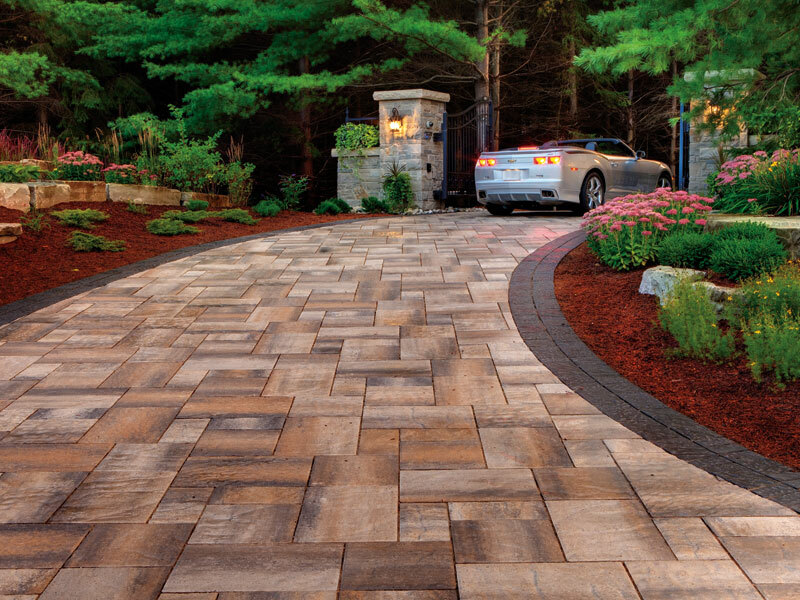 Oaks Enviro Passagio’s subtly blended color palette combines gracefully with unparalleled texture to set a new standard in texture and detailing. 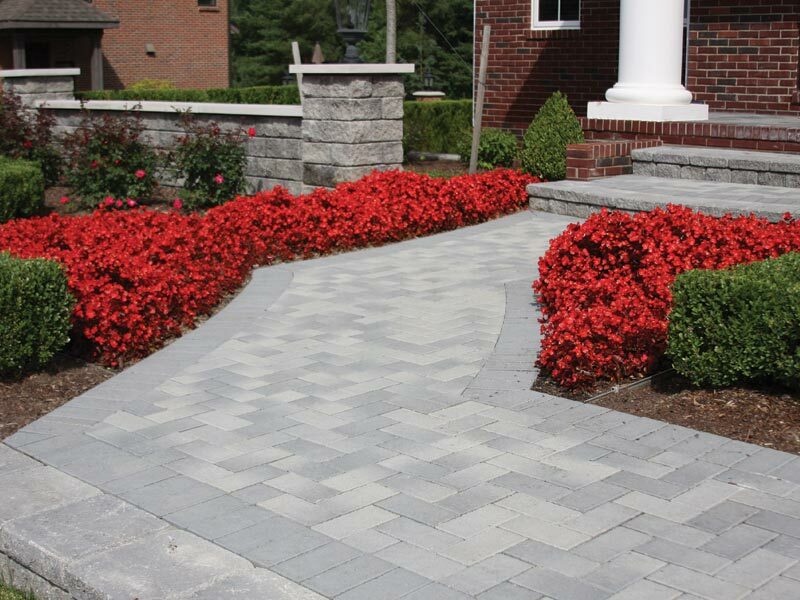 The perfect choice to beautifully address rainfall runoff and puddles to keep driveways and patios beautiful, while providing optimum water flow through the joints. 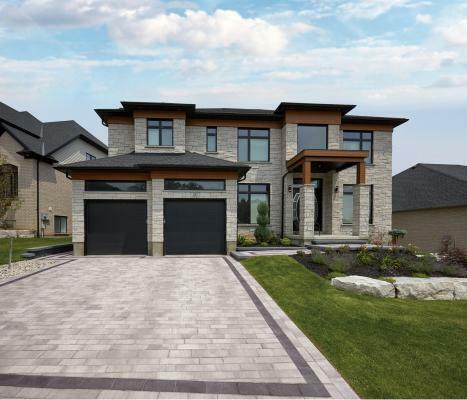 The most modern and advanced 100mm (3.94") paving system from Oaks, Eterna features our Elite Finish and ColorBold technologies to deliver aesthetics, performance and durability in a sleek interlocking paving system that meets the demands of urban conditions. Available in four modular sizes and individual packaging, Eterna offers a broad palette of core and special order colors, and unlimited patterning options. 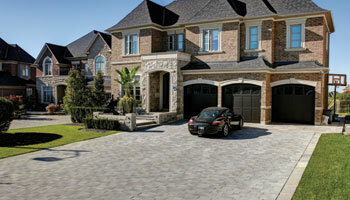 Distinctively textured with the look of weathered natural stone elegance, Oaks Hydr’eau Pave permeable paving stones are designed to reduce excessive rainfall runoff. 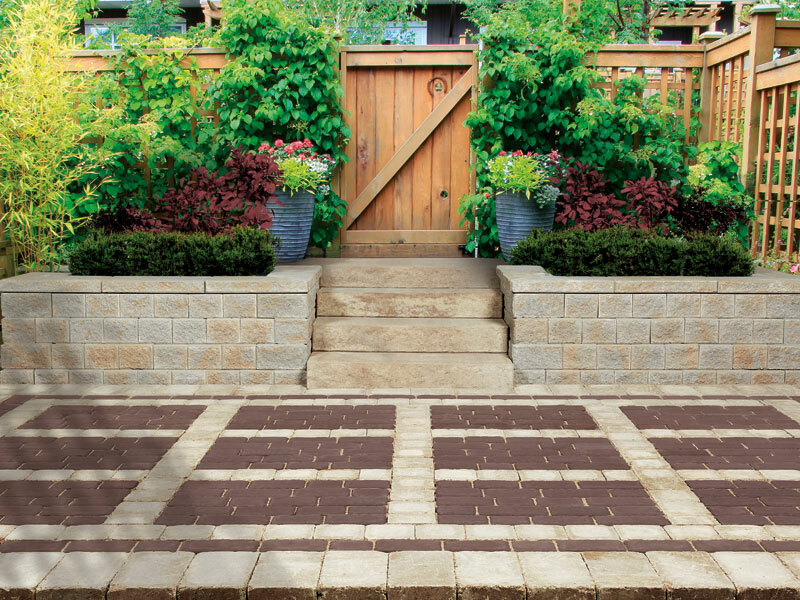 These pavers offer optimum flow of water through the joints, into the base, sub-base and sub-soil, reducing erosion and preventing sediment build-up. Manufactured in 3.15” thickness. 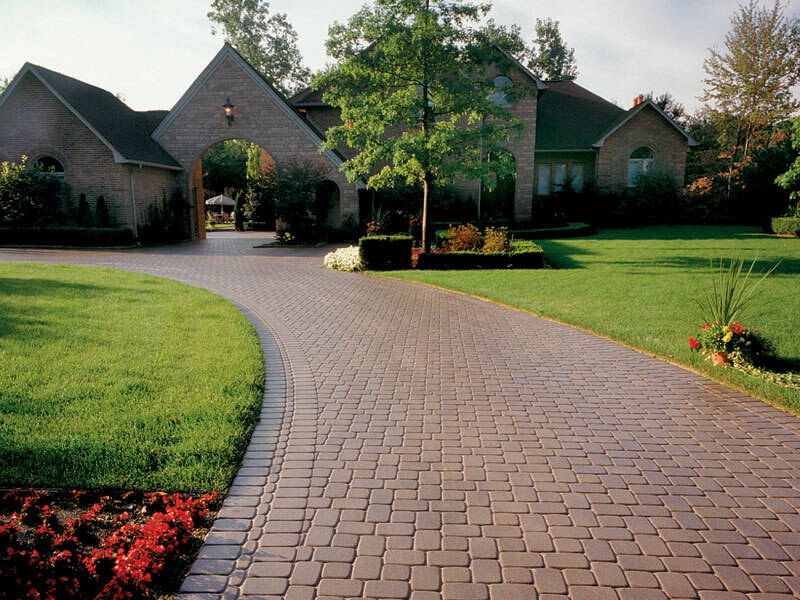 Hydr’eau Pave is perfect for pedestrian and moderate vehicular traffic. Combine with other Oaks 3.15” thick products to create unique designs. 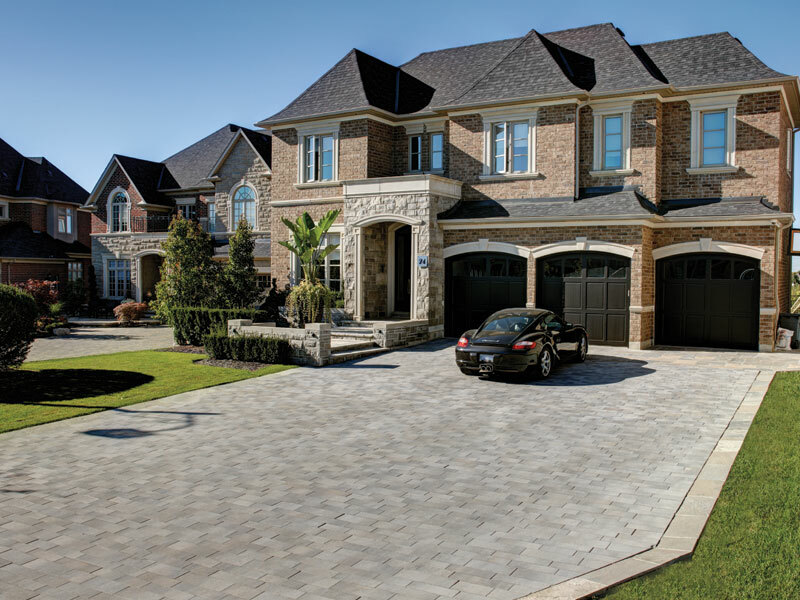 A modern take on heritage, this traditionally-styled 4x8 paver delivers a sophisticated appearance and enduring quality stylishly re-engineered for modern design. The richly-blended tones will endure the elements and significant wear and tear as we have incorporated both ColorBold and EliteFinish technologies into their manufacturing process. 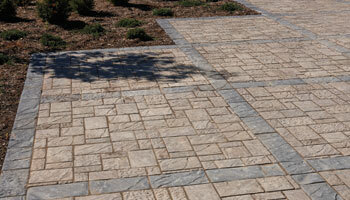 At 70mm (2.76") thick, Market Paver is suitable for both vehicular and pedestrian traffic. The new Molina line from Oaks enables holistic design concepts for you project. With its large format, smooth surface, clean edges and reduced joint spacing, Molina is ideal for creating inviting spaces. 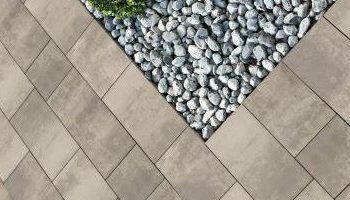 At 80mm (3.15") thick, this paver is suitable for light traffic, pedestrian use and meets wheelchair access specifications. Combine with the bold colors of Decaston for even more design options. Oaks’ newest architectural slab, Monterey, makes the perfect transformation to any project looking for a relaxed costal feel. Monterey’s gentle understated texture, large sizes, clean lines, and fresh array of gorgeous new earth-tones are guaranteed to inspire the designer in you! 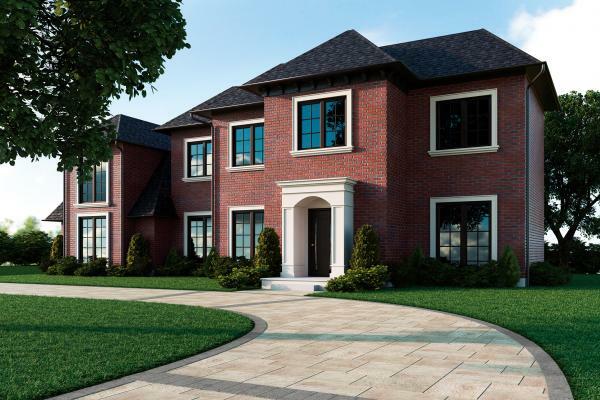 This 1.97” thick architectural slab is available in five stone sizes and three packaging options to offer maximum design flexibility. 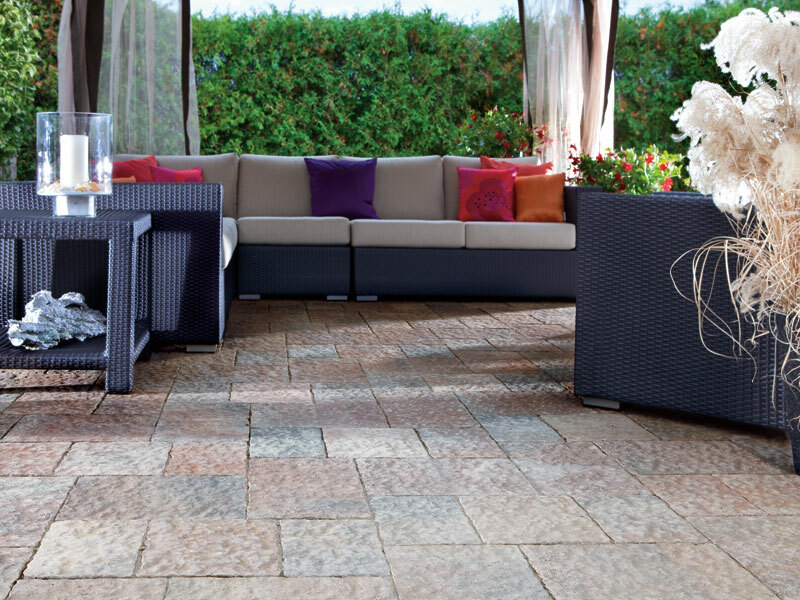 On its own, Monterey harmonizes perfectly with your outdoor living design; or combined with Rialto, new and unique effects are waiting to be discovered. NOTE: MONTEREY IS NOT SUITABLE FOR VEHICULAR TRAFFIC . 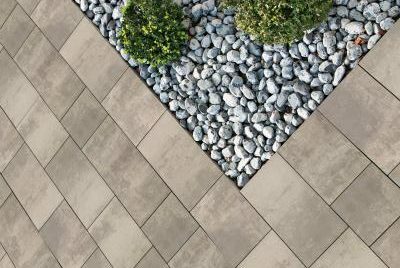 Clean lines and stylish allure; that’s what Oaks Presidio paving stones bring to any design project. With subtle chamfered edges, random lengths, two widths and reduced joint spacing that complies with wheelchair access specifications, these 3.15” thick linear paving stones are suitable for light to moderate vehicular and pedestrian usage. With a variety of appealing colors, you can design and accent your space even more creatively for a linear, contemporary look. 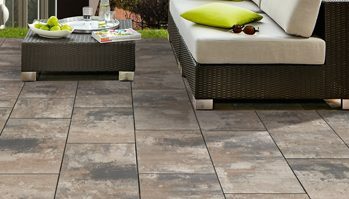 Rialto’s subtle texture and color palette of warm earth-tones, creamy whites, and marbled greys make it the ideal choice to complement almost any style of outdoor living space. 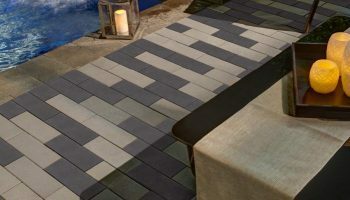 This durable architectural slab is manufactured at a 1.97” thickness and in three sizes for versatility in pattern design, and its high solar reflectance meets LEED requirements. Oaks Rialto is the perfect choice for beautiful pool decks, patios, walkways, and rooftop terraces! With a subtle texture and a palette of earth tones, creamy whites, and marbled greys, this durable 80mm (3.15") architectural slab is suitable for almost any outdoor living space including pool decks, patios, walkways, and rooftop terraces. Available in three sizes, with a high solar reflectance to meet LEED requirements, Rialto offers complete versatility in pattern design. Rialto 80mm is suitable for vehicular traffic. 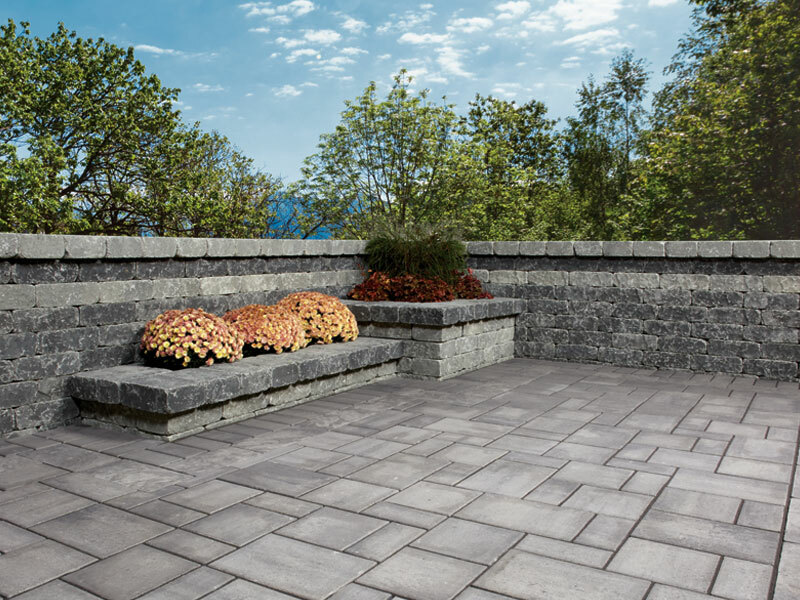 Dynamically textured for a look of hand-chiselled stone, this durable paver is ideal for high-traffic areas such as driveways, patios, and walkways. 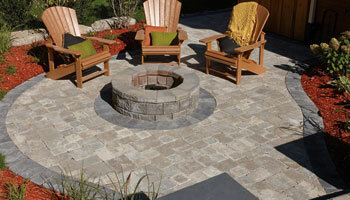 At 70mm (2.76") thick, Ridgefield Plus offers modern engineering and versatility. 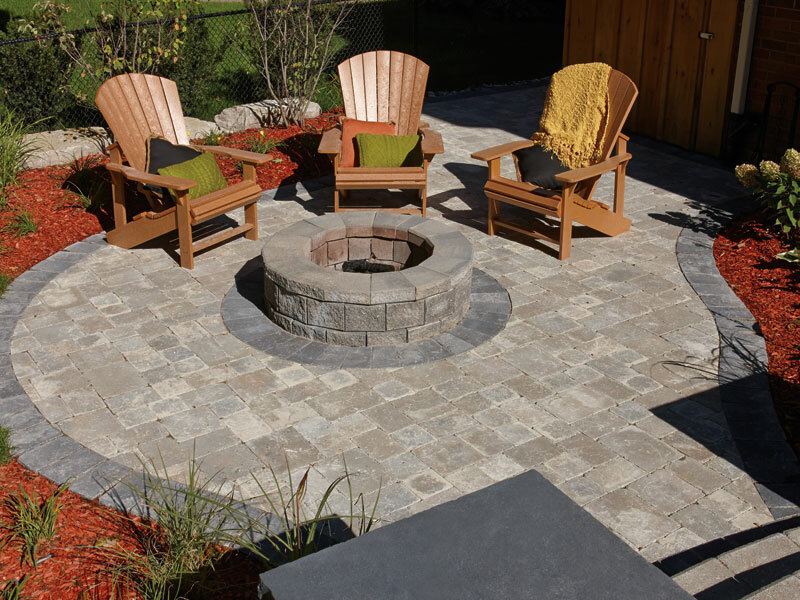 With their distinctive rounded corners and long-lasting thickness, Oaks Romanesque paving stones make random patterns, winding pathways, fans and circular patios appealing possibilities for any home. 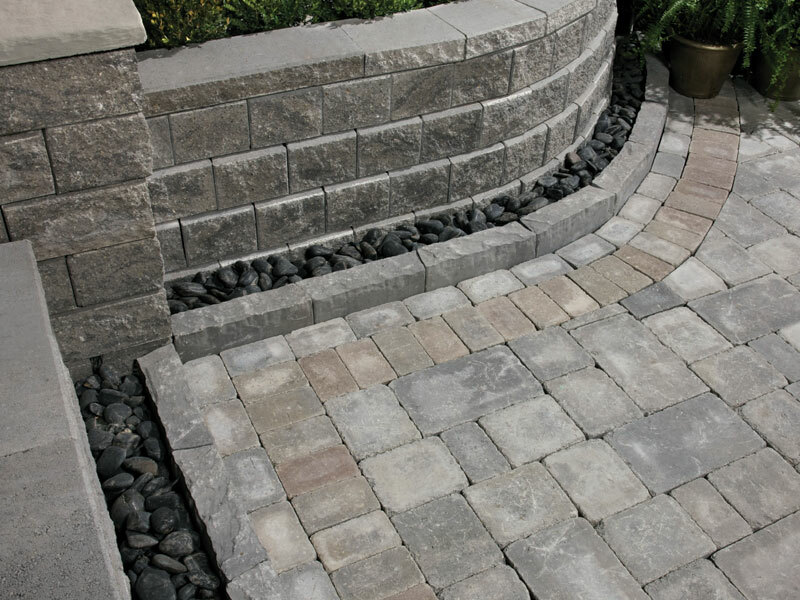 The look of cobblestone reflects a feeling of days gone by and the strength of these 2.36” thick stones deliver a lifetime’s worth of enjoyment. Perfect for light vehicular and pedestrian traffic, Romanesque provides limitless design options for creative geniuses everywhere. 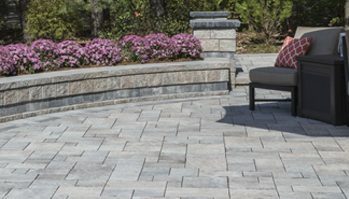 The new Seville paver with its modern proportions and clean lines combined with EliteFinish is sure to make a statement in any project. Subtly chamfered edges, random lengths, two widths and reduced joint spacing to comply with wheelchair access specifications, make these 80mm (3.15") thick linear paving stones suitable for light to moderate vehicular and pedestrian usage. 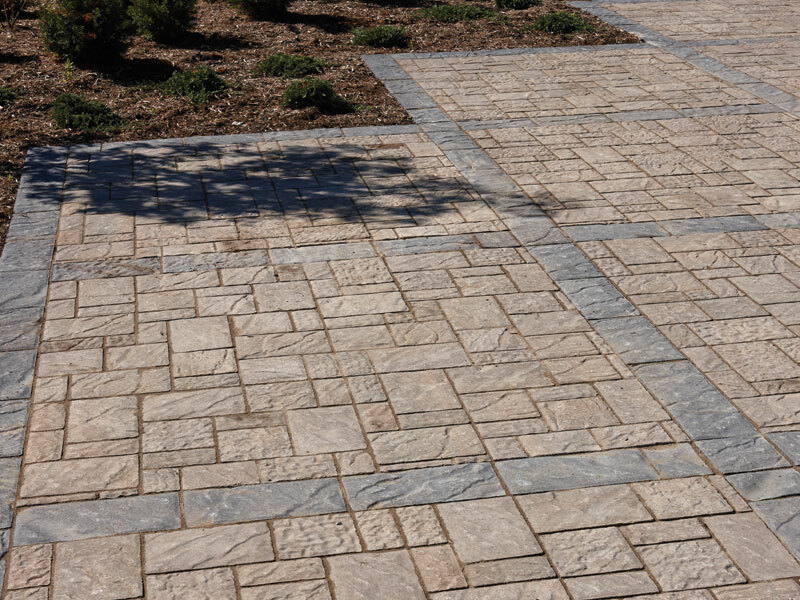 With a Matrix washed aggregate finish exposing the natural beauty of granite, quartz and limestone, Seville Rectangle is suitable for applications where superior slip and skid resistance is a must. SPECIAL ORDER ITEM. SOLD IN FULL PALLETS ONLY. 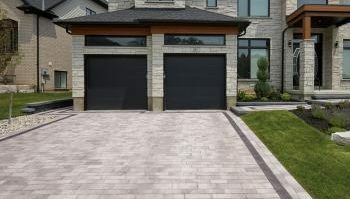 Matrix Finish only available in Rectangle Stone. A natural stone look, with accentuated contours that define Oaks Villanova’s unique characteristics. 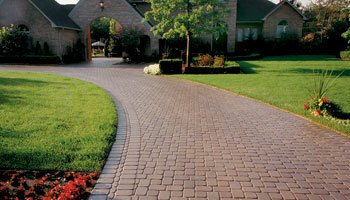 This large-scale paver has a 3.15” thickness suitable for both vehicle and pedestrian traffic. 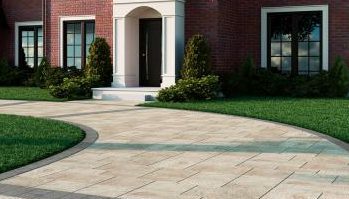 Villanova’s three-piece paving system allows a natural stone look with ranges of earth tones that emphasize any landscape décor. Design flexibility is endless with Villanova’s 8x16, 16x16 and 24x16 sizes. Give your project an upscale look using the fifteen different textures of the 8x16 rectangle in the timeless herringbone pattern or enhance the scale by adding the square and large rectangle units. 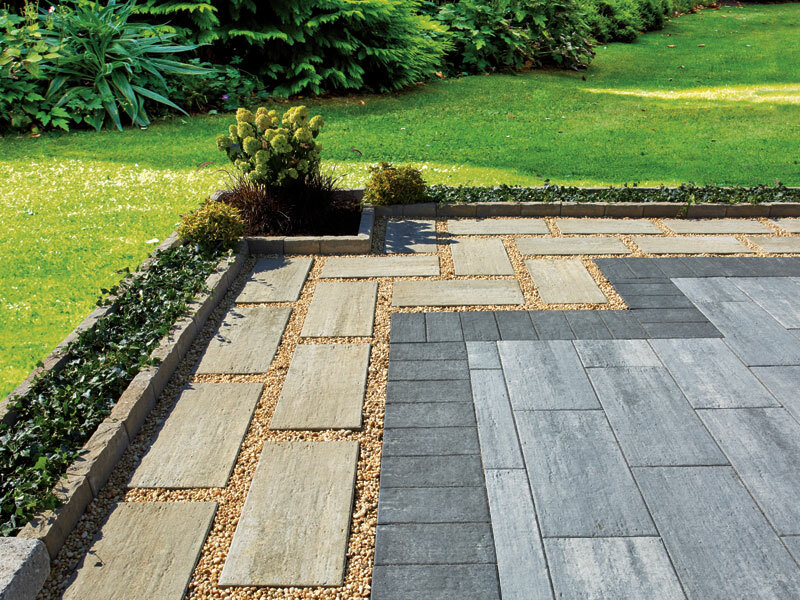 Oaks Wexford paving stones are a combination of classic lines, smooth finish and worn appearance make it a stand-out when it comes to giving your space a classic yet relaxed atmosphere. With its 2.76” thickness, it provides excellent stability for both vehicular and pedestrian traffic. Wexford’s four-size range and classic styling allow for unbounded design options, and the peace of mind knowing it will last a lifetime.